Director’s Blog Do They Understand the Message? For those of you wondering if these blogs would continue throughout the summer, rest assured, they will. However, they may be more sporadic than throughout the year. Today is the 4th of July and the staff at Big Sky is preparing for the second wave of Camp Promise campers who will arrive this afternoon after lunch. Last week consisted of 38 Camp Promise campers who descended on Big Sky and had a great week swimming, doing the ropes course, learning more about God through Bible class and chapel and just having a blast. Just as important, it was a genuine break for their caregivers, who tire effortlessly 24/7/365 to provide care for these special people. Special needs campers are very similar to children in this regard. We often think of their understanding of the gospel within our own human limitations, forgetting that regeneration is a work of the Holy Spirit, who is not limited by physical or mental disabilities. In Matthew 11:25, Jesus states, “I thank you, Father, Lord of heaven and earth, that you have hidden these things from the wise and understanding and revealed them to little children; yes, Father, for such was your gracious will.” R.T. France comments on this verse, “even the best of human insight which relies only on its own resources cannot penetrate the divine wisdom; it is ‘hidden’ from it. By contrast, ‘little children,’ precisely because they do not rely on their own resources, are open to receive the revelation.” I believe that many special needs campers fit perfectly within the category of “little children,” as referenced here by Christ. This is one reason I love Camp Promise so much, as it is a small representation of the kingdom of God. Whether we realize it or not, Jesus explicitly tells us the kingdom of God is a complete reversal of human (especially American!) values. The last shall be first and the first shall be last. If we go back to Matthew 11:26, Jesus declares that this is the gracious will of God- this is how God intended it to be. Of course, we do not assume that because someone has special needs, they are automatically believers in Christ, but rather, we must remind ourselves that God operates very differently than we think. We believe in a big God and, as our Camp Promise director is fond of saying – God does not make mistakes. 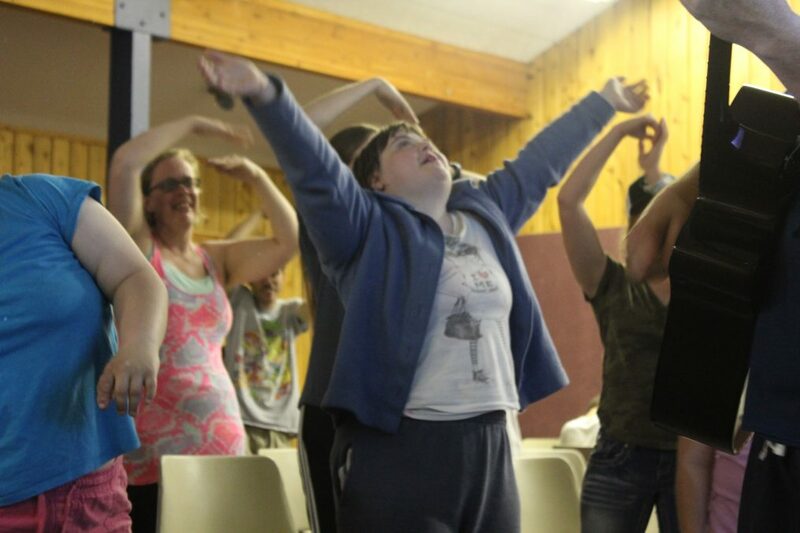 The 33 campers that are here this week with special needs did not catch God by surprise. It is clear that many Camp Promise campers do have a relationship with God through Christ. For those that appear incapable of this relationship, we must remember that God does not think as we do nor is He limited as we are. If we as a staff have learned anything from Camp Promise, it is that we must stop thinking and looking at campers through an earthly mindset. Again, the length of this blog prohibits a detailed theological inquiry into this subject (although I would like to see this happen!). What we need to remember (and what I am very thankful for), is that ultimately we do not have to understand. All God has called us to is faithfulness to Him and His Word. Therefore, we will continue to share the gospel of Christ and teach God’s Word to these special folks even if we think there is not anything getting through. As with the rest of camp, we praise God that the results are not up to us!